Effective transport for any SONET network environment is just an installation away with the proven capabilities of the Nortel S/DMS TransportNode. Build out a reliable SONET solution to support edge deployments on a T1 scale as well as high-capacity backbones, all within a single package — the Nortel S/DMS. Certified and refurbished Nortel S/DMS TransportNode options give carriers and service providers broad flexibility for service and network deployments when they demand survivability, management and capacity on top telecom platforms. Worldwide Supply has worked with nearly all types of network operators and managers to provide used Nortel S/DMS models for OC-3, OC-12, OC-48 and OC-192 transport rates, as well as supporting wireless functionality where fiber is presently unavailable. Expand your carrier-grade network where you need it with what’s currently available, reaching beyond current fiber when the customer demand is there first. 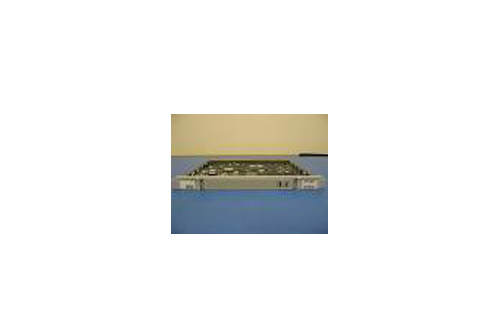 Refurbished Nortel S/DMS TransportNodes from Worldwide Supply allow operators to generate greater revenue from their existing fiber plant, route and terminate individual VT and STS channels without wasting bandwidth, plus deliver integrated, high-quality service interfaces with existing solutions. Application flexibility allows carriers to manage high-density rates or OC-192 long-haul transmissions with multiple configurations, allowing you to adapt to cost containment needs and reliability determinations. Put more traffic on your existing fiber with channel sharing protection and enhanced carrying capacity of existing network infrastructure. With seamless OS support, used Nortel S/DMS TransportNodes can support and bridge current and next-gen networking operating systems with remote support for any deployment. Plus, you’ll give customers best-in-class network extensions and management tools, traffic routing features, wave division multiplexing and significant specialty equipment support for last-mile customizations. Give your network what it needs, where it needs it.